Kasama ng iba pang mga Aklat ng Bayan, ilulunsad ang salin ko ng Frankenstein sa 23 Agosto 2015, 2-4 ng hapon sa Bulwagang Norberto Romualdez, Komisyon sa Wikang Filipino, Malacañang Complex. Narito ang mga talâ ko sa pagsasalin. July 19 is National Children’s Book Day! PBBY has prepared a book fair, storytelling sessions, and a series of book talks at Xavier School – San Juan on July 23. Tara! Like many chosen ones, Elisa grapples with being special—she doesn’t think she is and she is not even sure that she wants to be. But this book differentiates itself in the deliberateness of Carson’s language and of her narrative. When it is obvious that a writer has taken the time to consider the significance of even the smallest details, a reader can’t help but feel valued and respected. And in this book, it is undeniable that the small thrilling details all add up to an enjoyable and organic whole. I don’t remember ever having to say this about any other story. Friends would maybe always hear/read me say that the love angle in a certain story could have been done away with. But I have never, EVER, felt like a lead character was completely unnecessary. Unfortunately, in my honest opinion, The Raven Boys could have done without the girl. 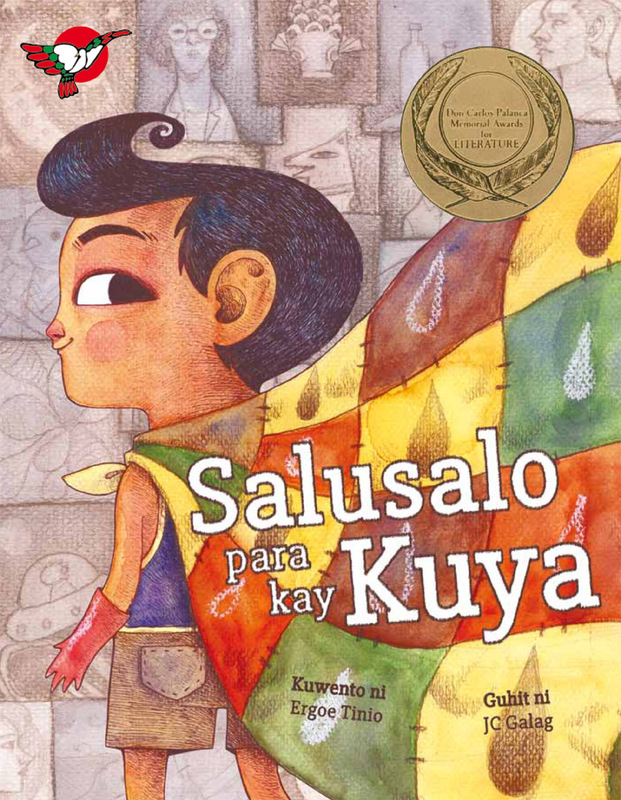 The National Children’s Book Day blog tour posts the question “What is your favorite local children’s book?” Getting Paged participates with this review of Nemo, Ang Batang Papel (created by Rene O. Villanueva, Haru H. Sabijon, and Adarna House). In this book, the evil stepmother was more than a trope. She was Charlie’s perfect scapegoat for everything that has been going wrong with his life. She becomes such a source of anger that Charlie starts disengaging from his friends and family. And in this festering anger, Charlie’s nightmares find power to trap him in their world while they break into his. It’s not dazzlingly original, but it’s a good plot. Unfortunately, the writers decided it wasn’t good enough. Local bookstore chains allot very little shelf and inventory space to Filipino literature. With MIBF beginning tomorrow, we’re raffling off books to find out which local publisher you’re excited to see at the Fair. With a distinctly hopeful—some would say overly and naively idealistic—voice, The Apothecary offers an ambiguous look at the Capitalism vs Communism issue, with good guys and bad guys at either end. When discussed like this, it must all seem particularly yawn-inducing. Thankfully, it isn’t. This story was equally heart-stopping and profound, because even with such a bleak issue at its core, it maintains its balance with bigger-than-life characters. It did not disappoint. Break my heart, it did, in the ways good stories sometimes do. But fall below my expectations, it certainly did not. I think it’s about time for us Filipino adults to stop the pretense and give our kids the credit they deserve: they are reading and they are ready, maybe even more than us. It wouldn’t hurt to have something like this story, told from the point-of-view of 16-year old Steven who is struggling with the idea that just because he seems to be attracted to male people and likes square-dancing, people might consider him gay. And he is absolutely, positively not gay. But much like the rest of the book, Joel redeems himself as a bankable lead towards the end of this book, which is where Sanderson decides to release the torrent of excitement and mayhem he had been unnecessarily keeping at bay throughout the story. Primary a mystery novel, where Joel’s assistance is needed to uncover a series of student disappearances, the book (and Joel) spent too much time dwelling and building on the mystery. GettingPaged spent NCBD week in Batanes & we decided to spend our last day there to thank our wonderful Ivatan hosts by doing our bookdrop right there in Basco. We had five books to drop, each one a PBBY-Salanga Prize and PBBY-Alcala Prize award-winner, and we tried really hard to choose a spot of relevance to the book, to children, and to the NCBD celebrations. In the end, it will go back to my quantitative interpretation of how my perception of a book’s relevance relates to the probability of me recommending the book to other readers. And as it is a largely personal and subjective process, I will be thinking of those readers in terms of my friends. I have thus figured out a guide, for myself, to use for these starred reviews. What more would one ask for in a heist story? All I demand is a believable method of stealing and escape—and given that our thieves here are teens, that’s already a challenge—and this book delivered the goods. We are looking for volunteers and donors to help us give books away for a #BookDrop in July to celebrate National Children’s Book Day.